Three views of what is believed to be the site of Jotham Meeker's cabin. 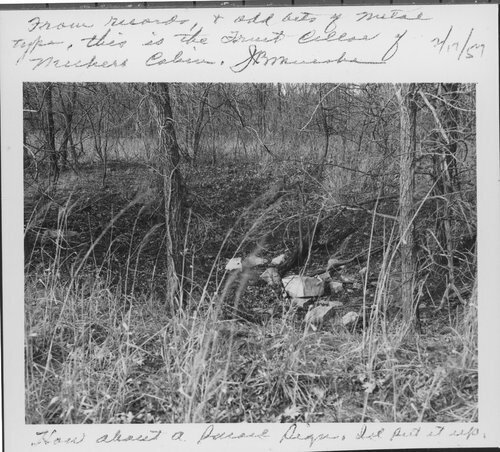 Some stones appear to be the location of the fruit cellar of Meeker's cabin while a large walnut tree marks the site behind which the cabin stood. Jotham Meeker lived between 1805 - 1855.